The rise of green finance has exceeded expectations both in the UK and internationally. Now new challenges lie ahead, not least Brexit in the case of London. 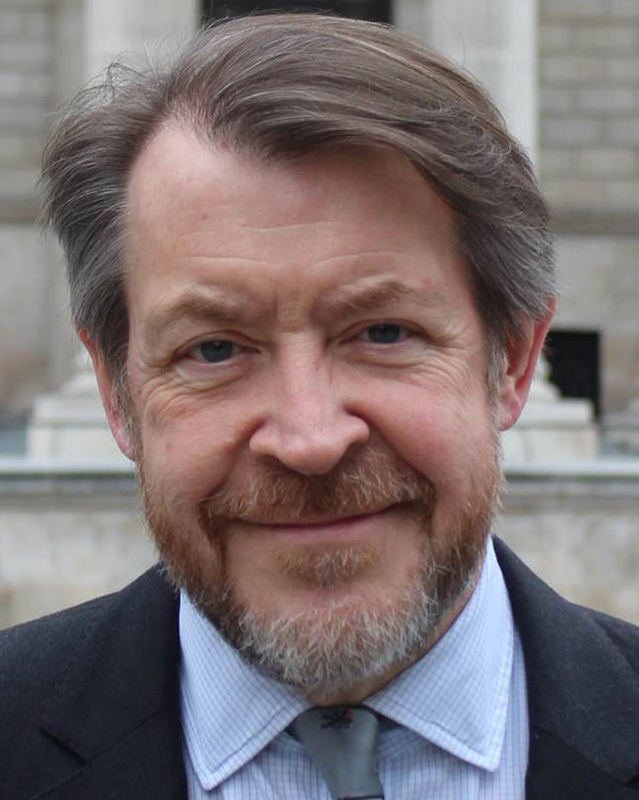 Yet the structural shifts underway to tackle climate change and other environmental issues mean there is huge potential for further growth, writes Roger Gifford for the Sustainable Finance Leadership Series. Three years ago in January 2016, the City of London launched the Green Finance Initiative (GFI). This was the first time that a financial centre had taken a strategic approach to the fundamental challenge of climate change and environmental sustainability. The landmark Paris Agreement on climate change had just been signed and China had inaugurated its presidency of the G20 with the establishment of the Green Finance Study Group, which it co-chaired with the UK. Back then, none of us quite expected the surge in interest in green finance across London and global markets that followed. It was not new but it was not mainstream either. Green finance has now moved from being a specialist and slightly worthy endeavour to become a recognised feature of both financial practice and financial policy. Equally, few then predicted the UK’s referendum vote to leave the European Union, a decision that now dominates discussions about London’s future as a finance centre. Yet, I would argue that green finance is bigger than Brexit and could prove more relevant for London’s international ambitions. The world’s bond markets are moving in a clear direction; markets such as Sweden demonstrate their transformational potential (see the graphs below). London is of course a huge issuance centre and as long as current fundamentals remain, it will continue to be one of the world’s big green finance centres. Source: SEB analysis based on Bloomberg and SEB data. Note: Includes all types of bonds, including shorter dated sovereign paper and mortgages. Year to date as of 31/01/19. Over the past three years, the GFI has focused on delivering three significant changes: growing overall market awareness; increasing traction with UK policymakers; and developing international connectivity. The GFI brings together key financial players and thought leaders in London, while the Government and central bank act as observers. The initiative is not limited to UK financial institutions – far from it – and participation reflects the global nature of the London market. Outreach achieved through countless meetings and briefings has established green finance in the language of commerce and profit, shifting it away from the arena of corporate social responsibility (CSR). An important part of this has been raising awareness by putting everything in the terms of commercial and business advantage: finance, profit and risk mitigation. Iconic deals have also helped to capture the market’s attention including China’s first covered green bond listed on the London markets in 2017, and the 2018 green mortgage bond from Barclays. And crucially for banks, green finance has proved to be a way for them to reconnect with their customers and society. Green finance needs strong policy frameworks. Three years ago, it would have been inconceivable to have the level of engagement across the UK government that we have today. This is captured in the Green Finance Task Force (GFTF), commissioned by the Treasury and the Department for Business, Energy & Industrial Strategy (BEIS). I chaired this task force, which reported in March 2018 with a set of 10 key areas of recommendation covering risk, disclosure, lending, investor responsibilities, resilience, local green finance and much more. A number of these proposals have already been adopted, such as the launch of a new clean tech venture fund. The Government’s first Green Finance Strategy covering the full spectrum of policy is expected in the spring. Our central idea was that green finance was no longer a passing phase and needed a strategic vehicle to take it forward. It was therefore important to have the Chancellor Philip Hammond announce the establishment of a dedicated body with that mission, the Green Finance Institute, a public–private partnership co-funded by government and the financial sector. The Institute will focus on both domestic markets and international cooperation, using London’s role as a global financial hub. This speaks to our third priority – the building of a cooperative approach across financial centres and countries on green finance. Green finance has become part of the UK’s economic and financial dialogue with countries including Brazil, China and India. The GFI is also a founding member of the International Network of Financial Centres for Sustainability (FC4S), hosted by UN Environment (UNEP). FC4S now has 20 members, with Abu Dhabi and New York being the most recent joiners. Having visited nearly 20 different countries personally to promote green finance, I don’t find the language of competition a helpful way of looking at the links between the world’s financial centres. This growing market offers opportunities for all and, crucially, if we are to transform societal approaches to climate finance, it will be done on a local country-by-country basis, not through some overarching global edict. If more has been achieved in the markets than expected since 2016, the science tells us we need to go a lot further in the next three years if we are to deliver the Paris Agreement. I see three big prizes to be won. This means implementing the recommendations of the Task Force on Climate-related Financial Disclosures across all markets, something the GFI has promoted through our first TCFD preparers forum, at the end of 2018. It also means proper training for financial professionals, for example through the new Chartered Institute of Banking green finance certificate. Here, one priority is to drive forward the implementation of the Green Investment Principles for the Belt and Road Initiative. The principles have been produced by the UK-China Green Finance Taskforce and are designed to ensure that finance deployed for Belt and Road – the world’s largest infrastructure programme – are aligned with the Paris Agreement and the Sustainable Development Goals. We also need to do more to bring green finance to other emerging and developing countries. The Climate Finance Accelerator offers a model of how practical linkages can be made with countries including Colombia, Mexico and Nigeria. 2018 saw the first Government-backed Green Great Britain Week, strongly promoted by Minister Claire Perry at BEIS, and this engagement needs to extend to routine discussions about green finance in mortgages, savings and pensions. If consumers get the chance to do something easily that has clear environmental benefits and achieves the same returns or better, then green finance could grow significantly. This could help with, for instance, the growth of domestic issuance of green bonds by building up a culture of investing in corporate and muni bonds tied to clean growth. The next three years should be an exciting time. Whatever the short-term political concerns, there is a lot to look forward to for green finance.